Volunteering in childcare and with special needs children in South East Asia is a fulfilling and life changing experience. 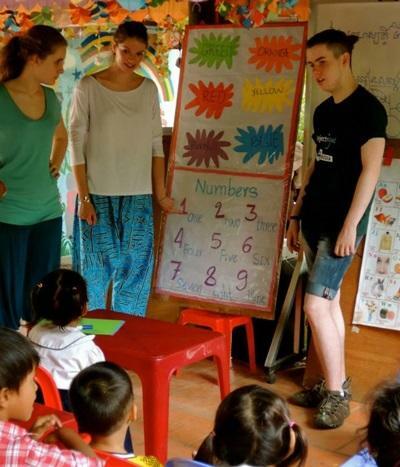 Projects Abroad’s Care program allows volunteers to work in care centres and kindergartens with South East Asian children of all age groups, from newborns to teenagers. Placements are available in the South East Asian nations of Thailand, Cambodia, and Vietnam and the program is open to all volunteers including those in high school or college, on a gap year, or looking for a career break. The staff at these facilities is often overworked and unable to provide these children with individual attention and support. Volunteers play a vital role in bridging this gap and giving the love, care, and affection that every child deserves. Volunteer opportunities are available for two weeks, one month, and more. No previous volunteer or social work experience is required; all that is needed is a desire to help! 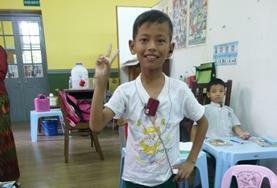 Volunteering in South East Asia is a rewarding experience and changing the life of a childs something very special. Volunteers are often part teacher, part caretaker, and part friend. They help with basic day-to-day functions of the centre, engage in learning activities, and provide emotional support to children who have overcome so much in life. Many children have disabilities or HIV/AIDS, while others have been abandoned, neglected, or received little formal education. Volunteering in South East Asia is an opportunity to grow personally, while having the opportunity to make a profound difference in the world. Over the years, our volunteers have worked with children at orphanages and residential care homes in South East Asia. They have done incredible work at these placements, improving living conditions there and creating opportunities for children by supporting their education and care. However, we have decided to move our focus away from orphanages and homes toward community and family-based care. This is because we believe stable family environments are best for the children we work with. Read more about orphanage volunteering and our position on it. This means that instead of volunteering in orphanages in South East Asia, volunteers will work in placements like day care centres, kindergartens and schools, or support groups for the elderly and mothers and babies. This will help Projects Abroad build stronger relationships with local communities and – most importantly – help families stay together and flourish. Volunteers in Cambodia work alongside local staff to help care for children in kindergartens, day care centres, and care centres for children with special needs. You will also help with basic education and play games with the children. Volunteer with children in Myanmar at a care centre or special needs school and work with local staff to provide extra educational and emotional support. Volunteer in a care centre or kindergarten on the beautiful island of Cebu. Help children with homework, teach them new games and even help them with some informal English lessons. Volunteer in a local kindergarten, day care, or special needs centre in the beautiful town of Krabi. You will help out with numerous tasks to care for and educate children, such as playing games and teaching basic numeracy. Situated near the culturally vibrant Hanoi, you will be working in care centres. You will get involved with every aspect of the children’s daily routine.